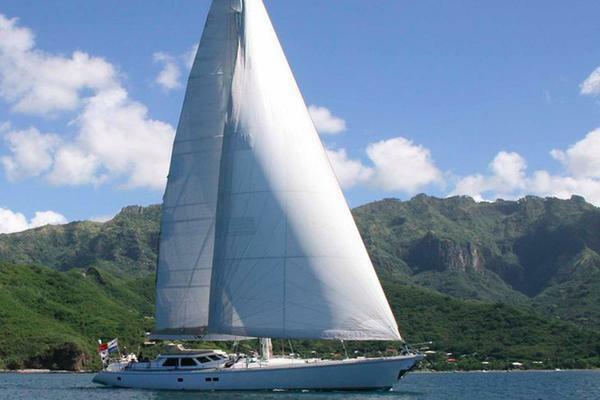 Our Client is very keen to sell and has authorised a EUR 250,000 price reduction. ZEFIRO is a 100-foot luxury performance cruiser with excellent build quality and performance ability - the soul of what every Southern Wind yacht stands for. Launched in 2009, she features exterior styling and interior design by Nauta Design, and naval architecture by Farr Yacht Design. ZEFIRO is currently available for inspection in Tarragona, Spain. United Yacht Sales New Jersey would love to guide you through a personal showing of this 98' Southern Wind Shipyard Sw100ds 2009. This yacht for sale is located in Tarragona Spain and priced at $4,250,000. For a showing please contact us by filling out the form on this page and we will get back to you shortly! DIMENSIONSLength overall: 30.20m / 99’1”Waterline length: 26.26m / 86’2”Beam: 6.70m / 22’Draft: 3.95m / 13’Displacement: 59 tonsGross tonnage: 63 tonsNet tonnage: 25 tonsCONSTRUCTIONHull: GRPSuperstructure: GRPDecks: TeakNaval Architect Farr Yacht DesignExternal Designer Nauta DesignInternal Designer Nauta DesignCLASSIFICATIONClass: The hull was originally built to RINA, but the vessel is not anymore in classPERFORMANCEMaximum speed: 12 knotsCruising speed: 10 knotsConsumption (approx. ): 20 l @ 8 knots approx.Range: 2000 nm @ 8 knotsRIGGINGRig: Southern Spars, Sloop rigged(serviced end April 2017)Masts: Southern Spars full carbonSpreaders: Southern Spars full carbonBoom/s: Southern Spars full carbon, Park AvenueBoomvang: Serviced in April 2017Reefing system: Main with slap reefing, Reckmann furlers for Genova and staysailSAILSSails by: Doyle StratosForesails: Genoa (2013), Stay sail (2014), Gennaker x 2 (2014), and Code Zero (2014)Mainsails: Doyle StratosWinches: Harken x 10KEELType: Torpedo keel with lead bulbMACHINERYEngines: 1 x Cummins QSB 5.9 MCD 305 hpEngine hours: 4900 hrs. (May 2017)Generators: 1 x Onan 17.5kW and 1 x Onan 22.5kWGenerator hours: 8963 hrs. and 6515 hrs. (May 2017)STEERING & PROPULSIONSteering: 2 x Steering Wheels specially made out of teakThe steering is with cable and quadrant for direct and sportive steering – the Autopilot will take over with hydraulic systemPropeller: Brunton, Varifold system, 4 flapsGearbox: ZF MarineAUXILIARY EQUIPMENTBow thruster: MAX POWER 50hpWater maker: 2 x 250 l/hrs.Fuel separator: 5 different fuel separators in the ERAir-conditioning: Frigomar 108.000 BTU in totalToilet system: Vacuum toilet systemBoilers: 2 Boilers in the ERTANKAGE(approximate)Fuel: 4000 lFresh water: 2500 lGrey water: 720 lBlack water: 720 lELECTRICAL SYSTEMVoltage: 24 V and 220VFrequency: 50 HzShore power converter: YesInverter: 2 x VictronBatteries: Complete new set of Sonnenstein service and starter batteries (April 2017)NAVIGATION EQUIPMENTMagnetic compass: 2Gyro compass: B&GLog: B&GDepth sounder: B&GAutopilot: 2 x B&GRadar: 2 x FurunoElectronic chart system: 2 x Furuno Touchscreen, 2 x MaxSeaGPS: 2 x SimradInstrumentation system(wind speed & direction): B&GCOMMUNICATION AND SATELLITE EQUIPMENTInmarsat: CSSB radio: ICOMVHF: ICOMTelephone exchange: FBBVHF hand held radio: ICOMPrinter / fax: BrotherOther: FBB satellite telephone and data with LAN and Wi-Fi.ENTERTAINMENT EQUIPMENTSaloon: Large wide/flat screen TV, Bose DVD/CD system, in and outside Bose sound boxes, iPod/phone/pad holder, apple TV box.Master cabin: Wide/ flat screen, Bose system, Bose sound boxes, Apple iCube computerDouble cabin: Flat screen TV, Apple iCube, Bose boxesPort guest cabin: Flat screen TV, Apple iCube, Bose boxesStarboard guest cabin: Flat screen TV, Apple iCube, Bose boxesDOMESTIC APPLIANCES, EQUIPMENT AND LAUNDRY Refrigerator: 2 x FrigomarFreezer: 3 x FrigomarOven: 1 x SMEGStove: 4 x Gas, 2 x Electric MieleMicrowave: 1 x BoschIcemaker: 1 x Custom madeDishwasher: ComandaWashing machine: MieleDryer: MieleACCOMMODATION 8 guests in 4staterooms and 4 crew in 2 cabinsMaster Stateroom: The Master cabin is situated forward and is very big and has a huge bathroom.Double Stateroom: Also forward situated there is a comfortable VIP cabin with a bathroom en-suite.Twin Staterooms: 2 Twin cabins are situated aft (behind the salon). Each cabin has a bathroom en-suite. 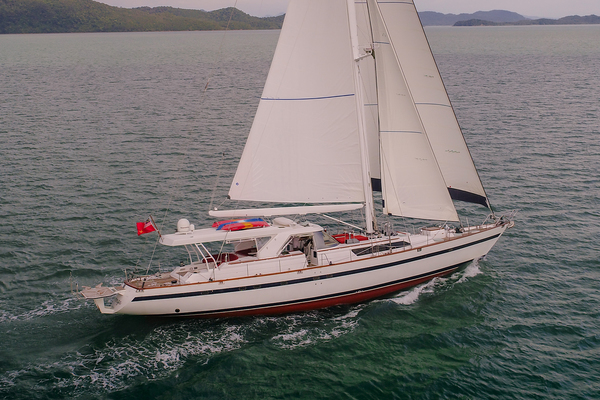 Generally the vessel has a light teak interior in mate style throughout. DECK ARRANGEMENTLarge covered dining/ lounging area, sundeck with cushions, teak lounge seats and table for foredeck, separate exit/ entrance for the crewDECK EQUIPMENTAnchors& chain: 1 x Anchor from CQR, 1 x Anchor from Fortress 1 x 130m galvanized chains (new in 2017)Windlass: YesPassarelle: OpacmareBathing ladder: YesBimini top: YesTENDER AND TOYSTenders: 1x Tender: Smuggler 520, custom build, Yamaha 70hp 4s, waterski/ wake bar and line, double fishing rod holder, fresh water shower- Tender 2: SP 280, Yamaha 5hp 4sToys: Waterski, 2x SUP, diverse sizes 2 fishing rods, 2 x SUPDive equipment: Dive sets x 4, snorkel equipment x8SAFETY & SECURITYEPIRB: YesLife rafts: 3 x 8p from VikingLife jackets: x 16Fire–fighting equipment: YesShip alarms: YesBilge & fire pumps: YesSecurity cameras: 2Ships safes: 2COMMENTSZEFIRO IS A LUXURY PERFORMANCE CRUISER WITH EXCELLENT BUILD QUALITY AND PERFORMANCE ABILITY - THE SOUL OF WHAT EVERY SOUTHERN WIND YACHT STANDS FOR. AT THE CHRISTENING CEREMONY, THE MEANING AND AURA OF THE YACHT'S NAME WAS REVEALED. "ZEPHYRUS IS THE GREEK GOD OF THE WEST WIND". THE GENTLEST OF THE WINDS, ZEPHYRUS IS KNOWN AS THE FRUCTIFYING WIND, THE MESSENGER OF SPRING. AND ZEFIRO IS THE ITALIAN VERSION OF ZEPHYRUS. "VAT PAID IN CYPRUS IN 2017.